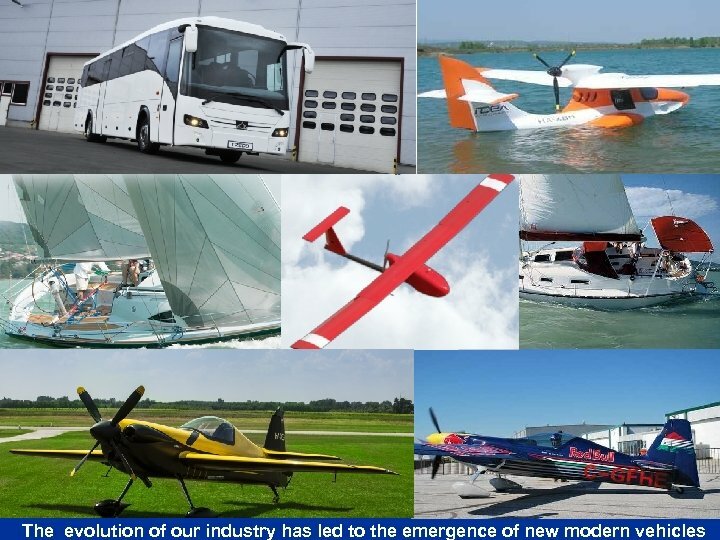 The present structure of the industry Design/Development Component manufacturing Small a/c manufacturing Parachute manufacturing Air Ballon manufacturing Maintenance/Overhaul Training Consulting Parts sale Tools manufacturing Calibration Engineering HR services Modification Marketing Industrial organizations 10 15 6 1 1 80 4 2 1 3 2 1 2 3 In order to increase the number of component manufacturers HAIF launched the Aerospace Supplier Initiative Programme in December 2004. 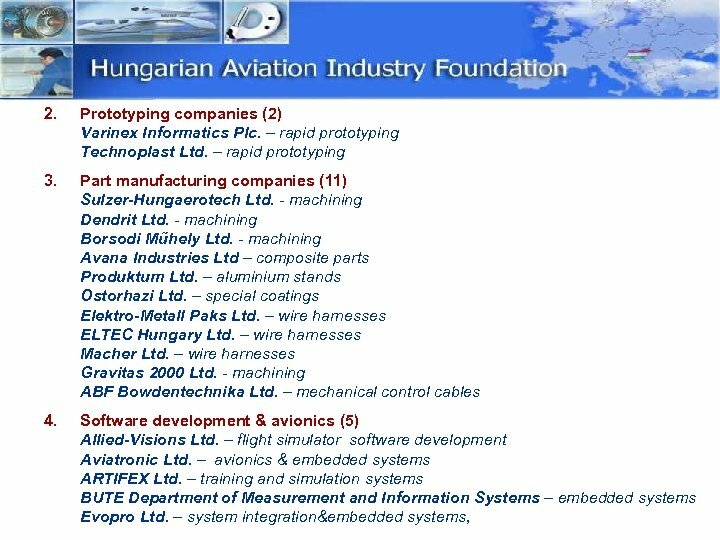 Mainly automotive and ICT component manufacturers were invited to the programme. 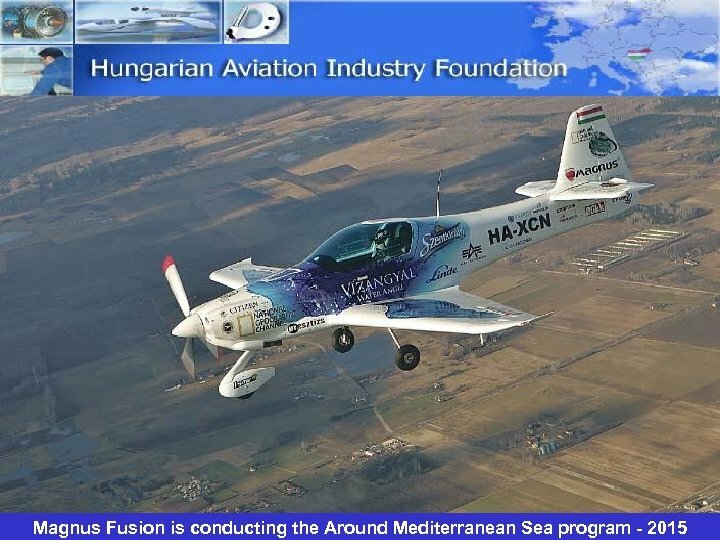 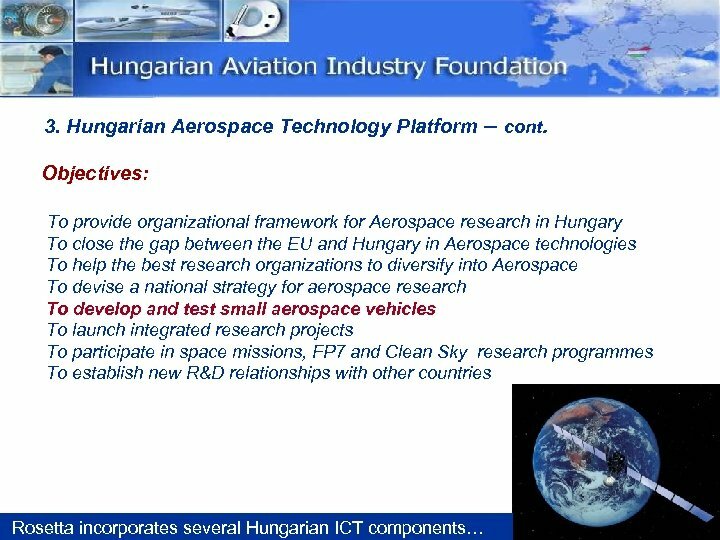 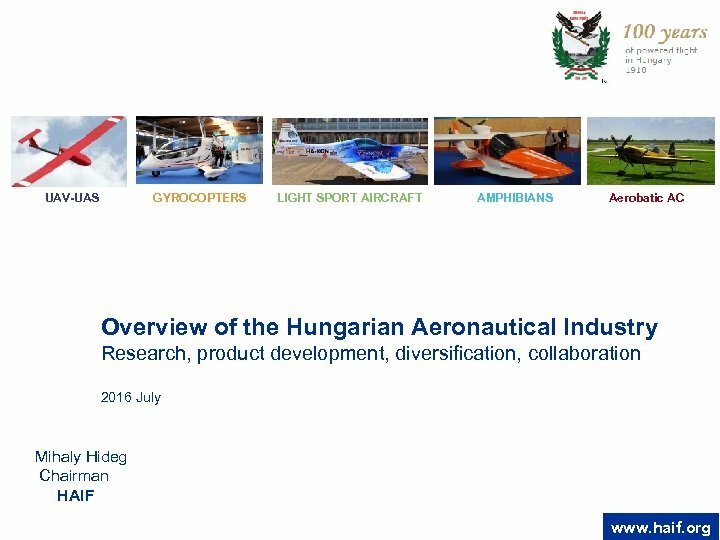 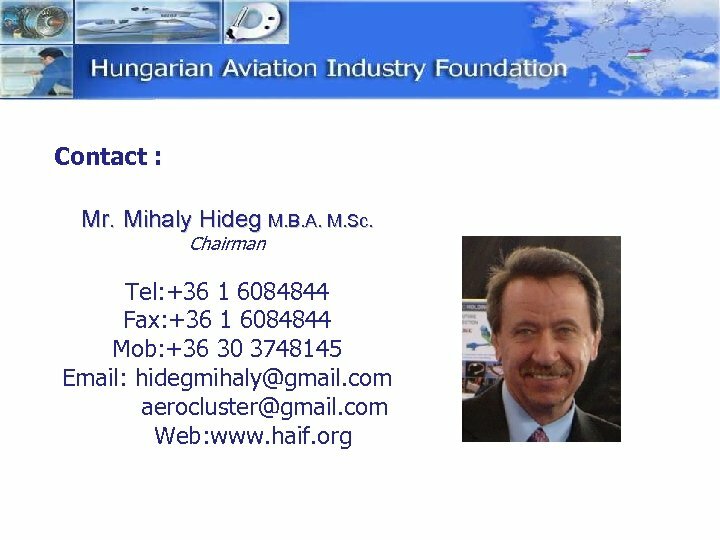 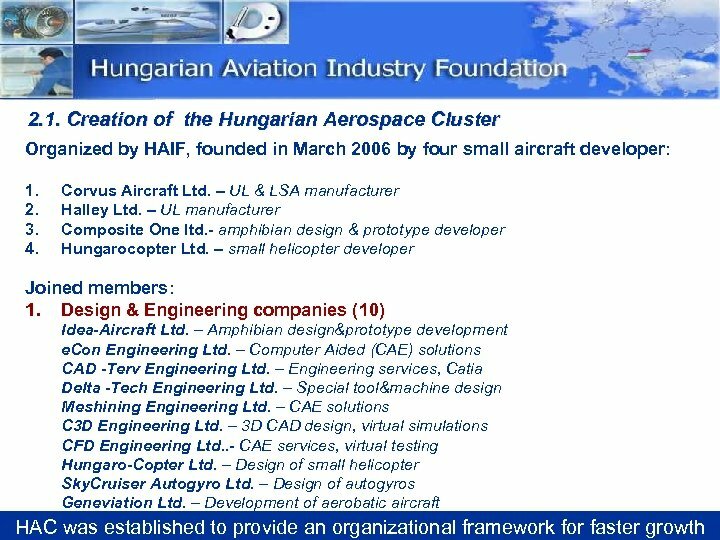 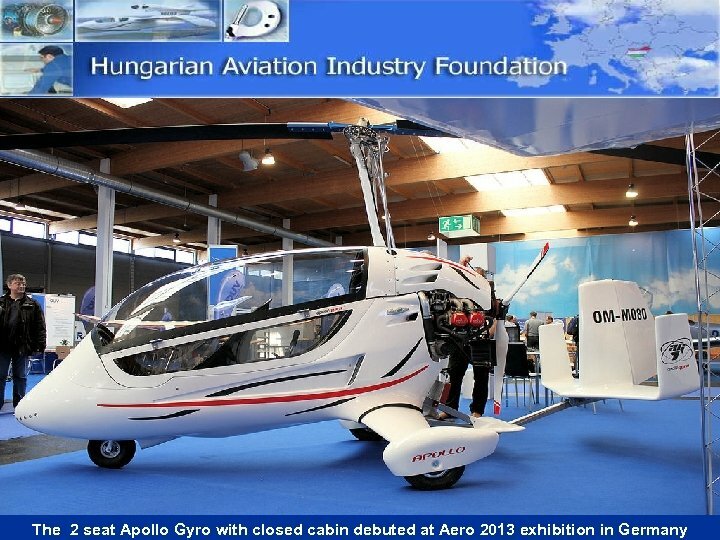 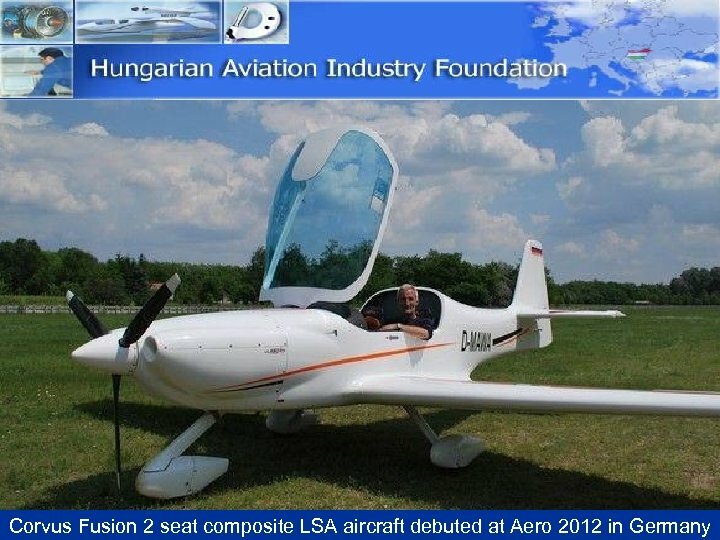 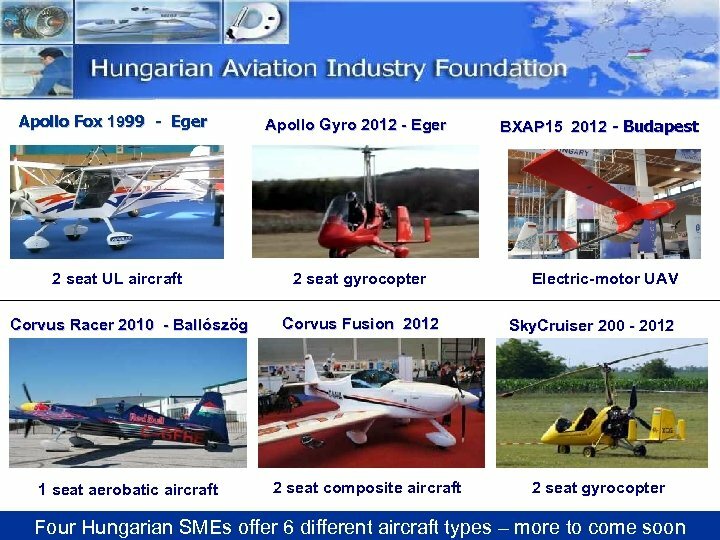 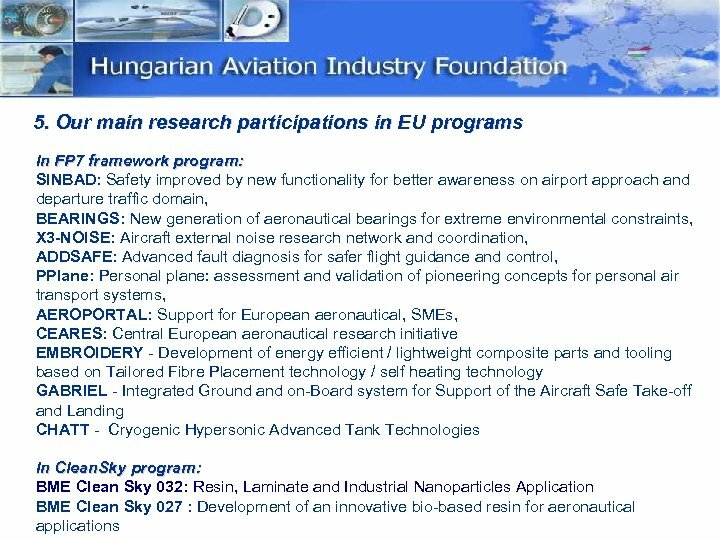 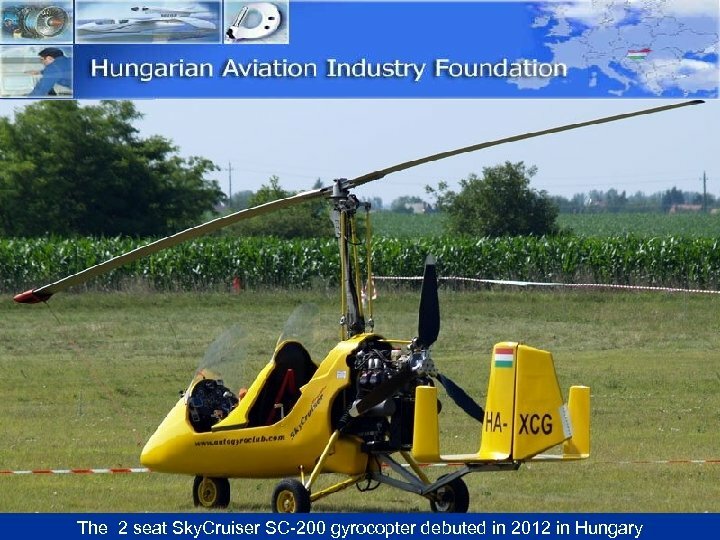 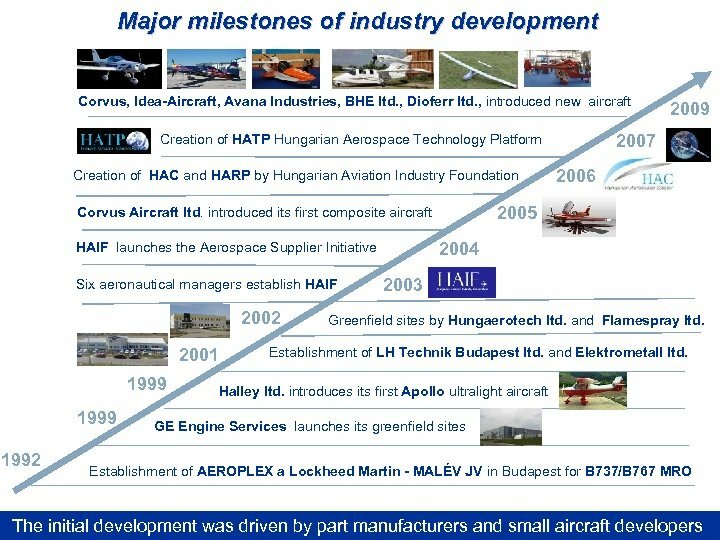 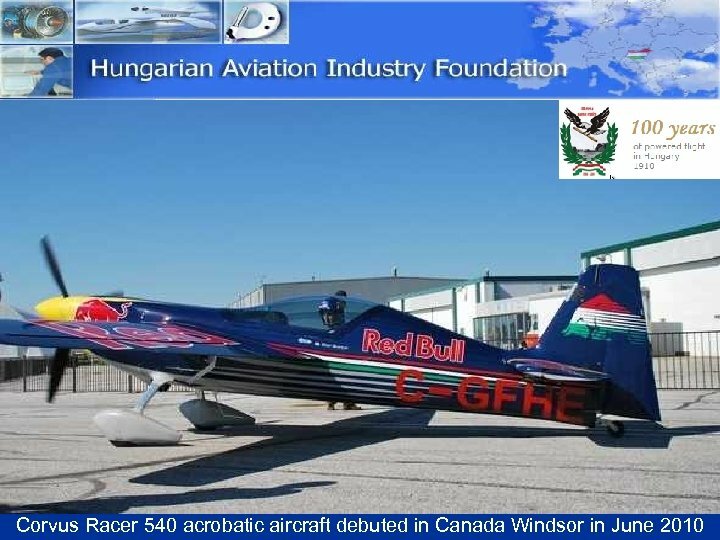 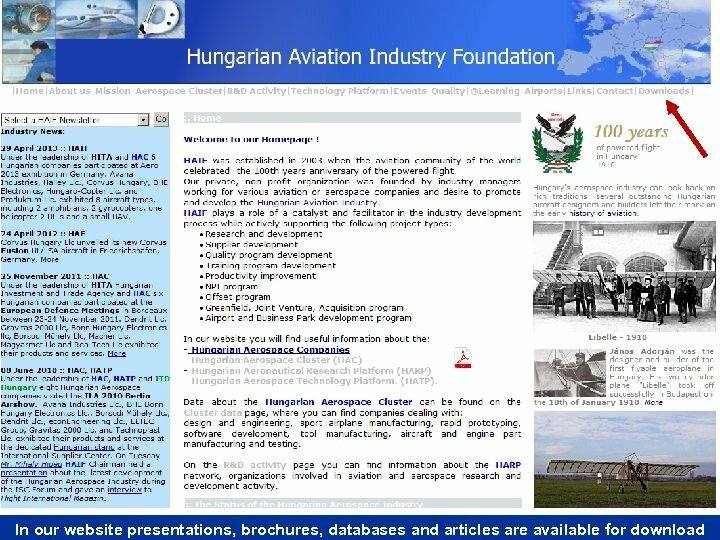 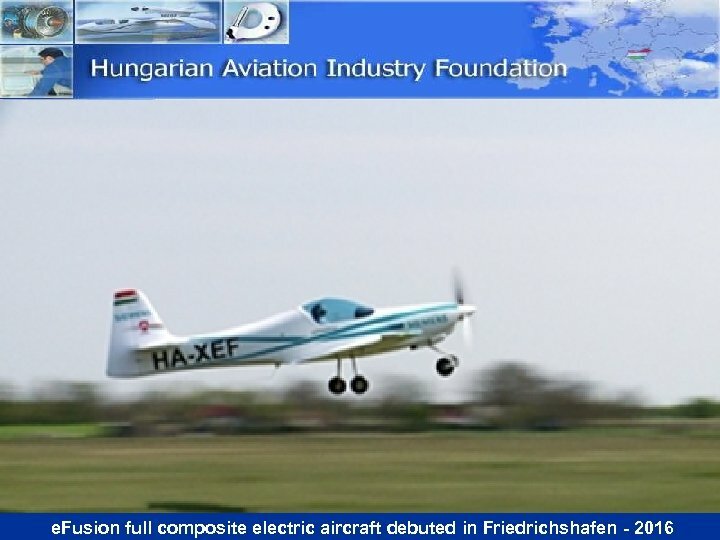 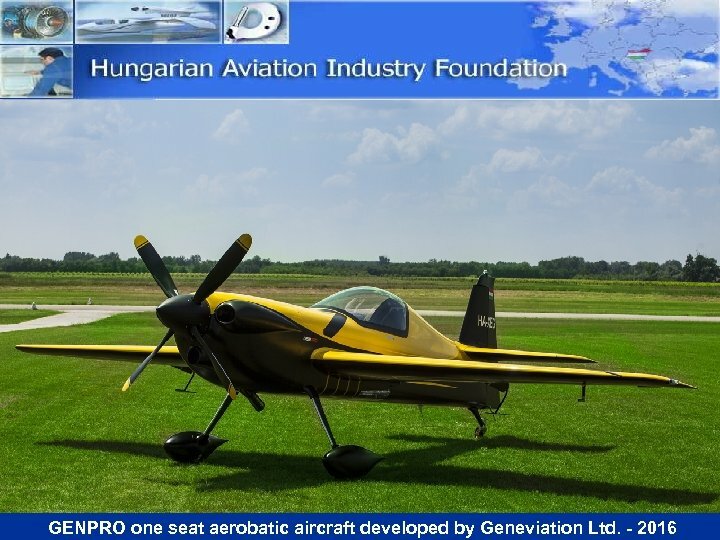 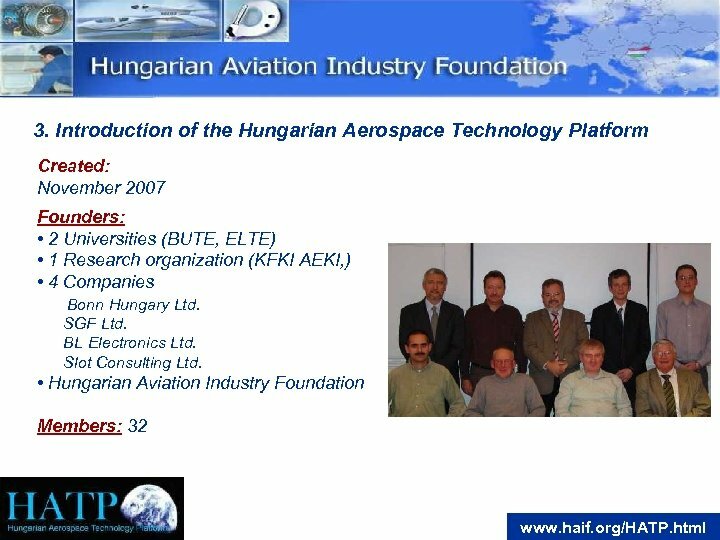 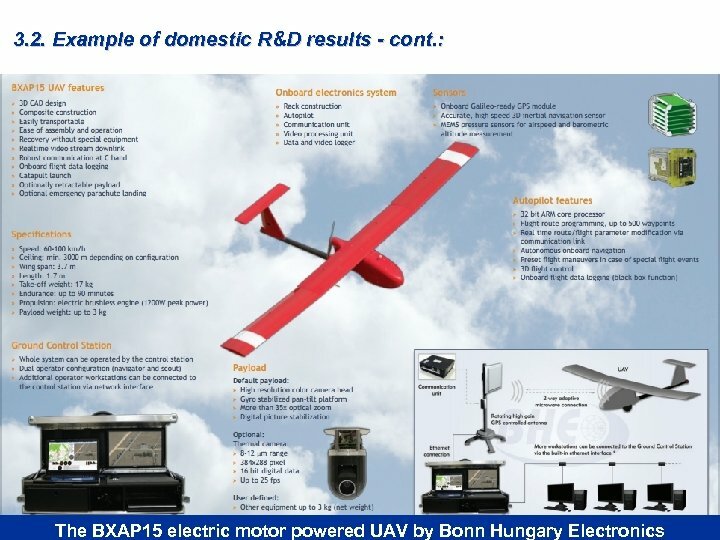 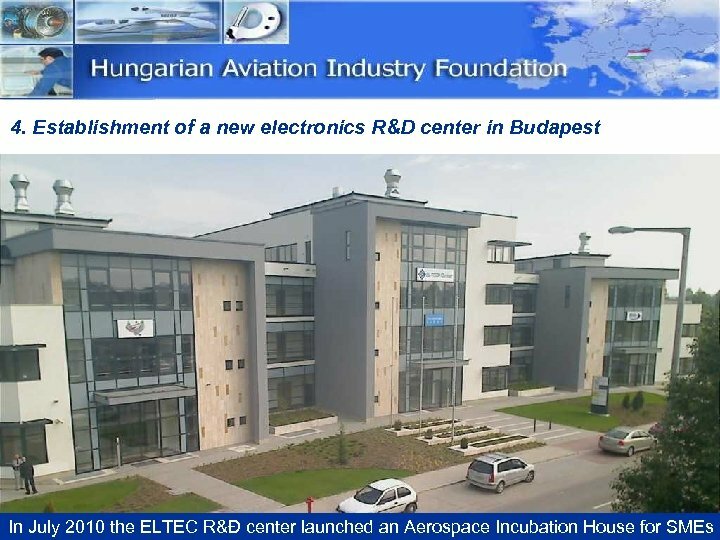 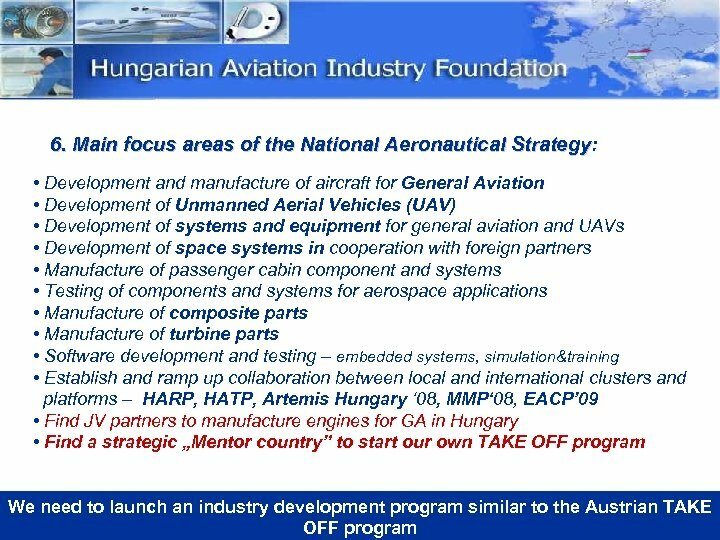 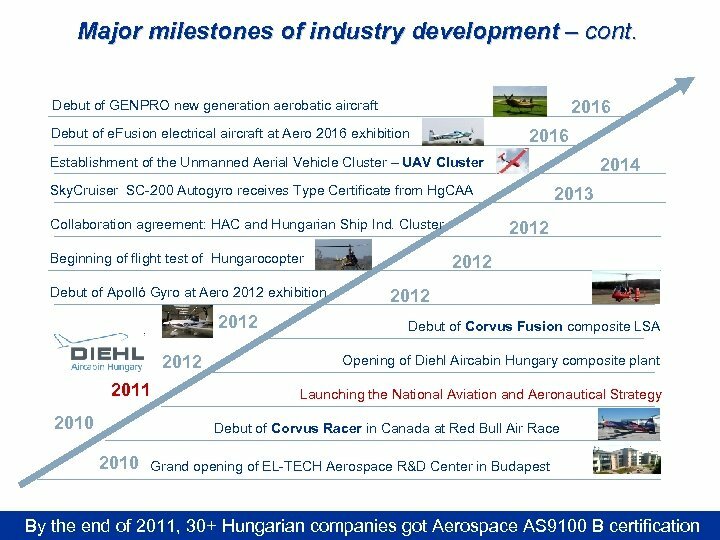 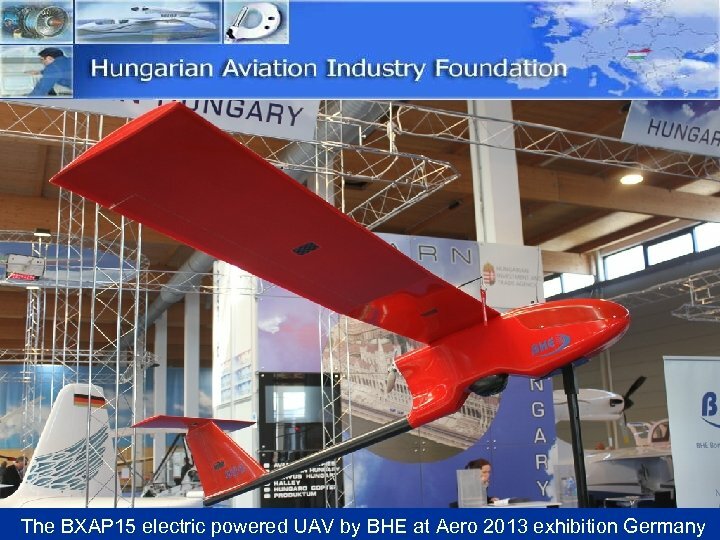 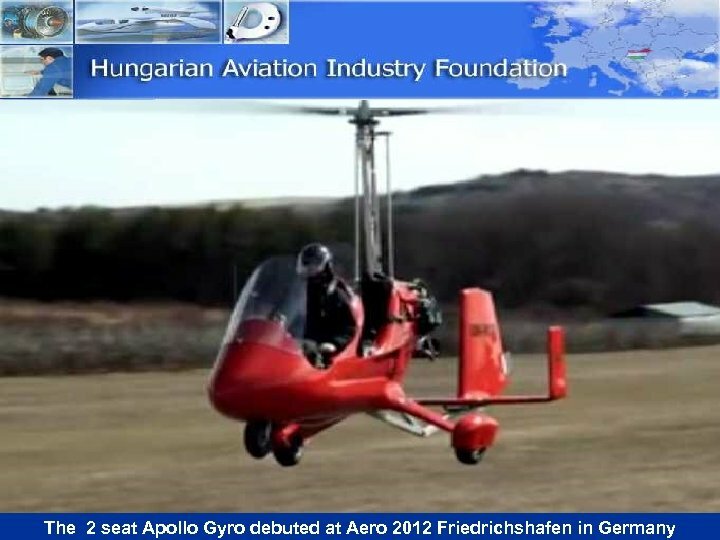 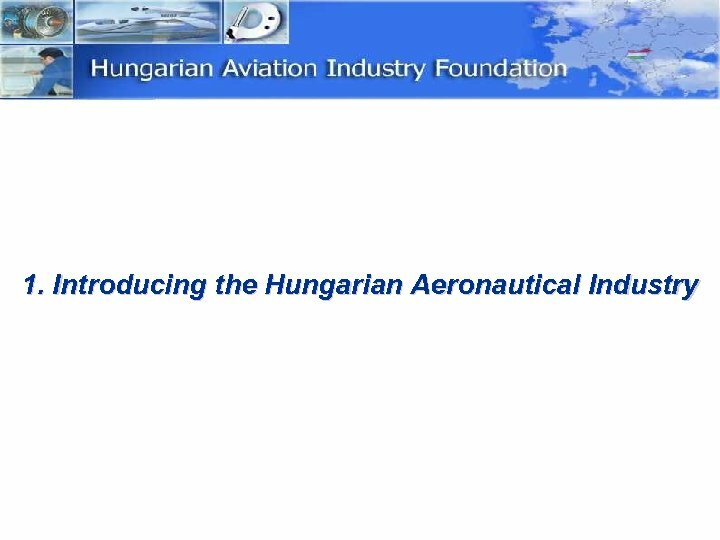 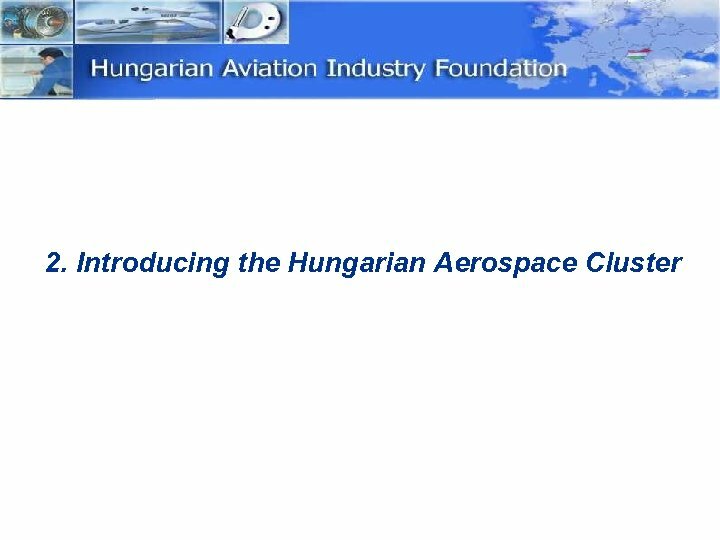 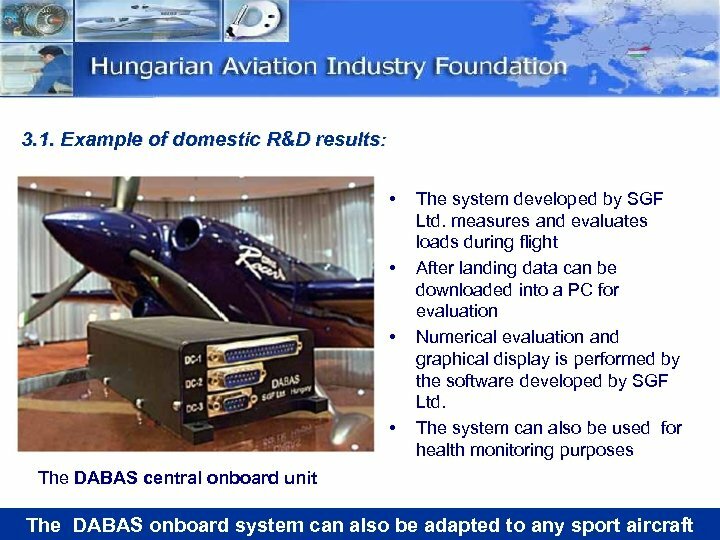 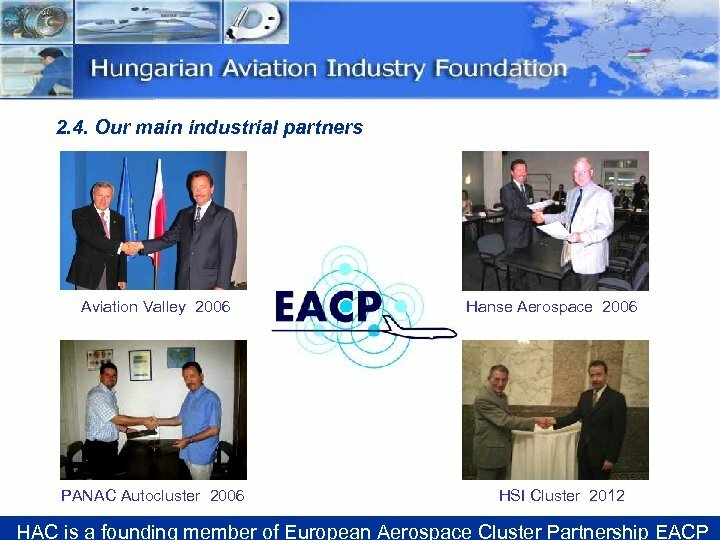 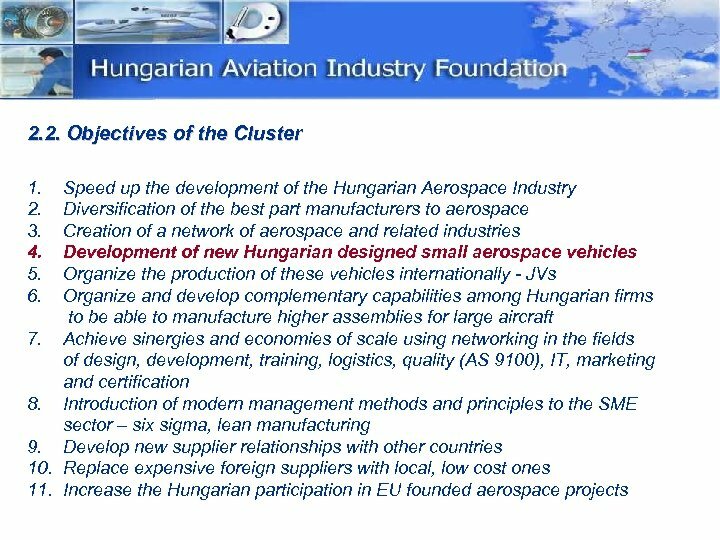 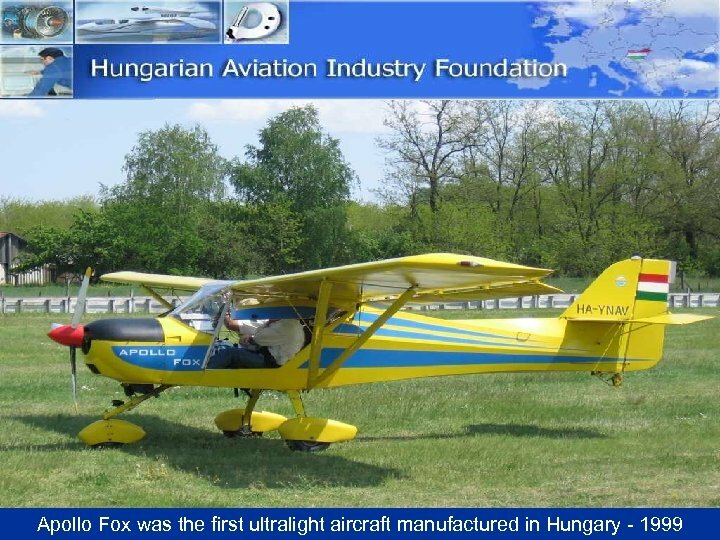 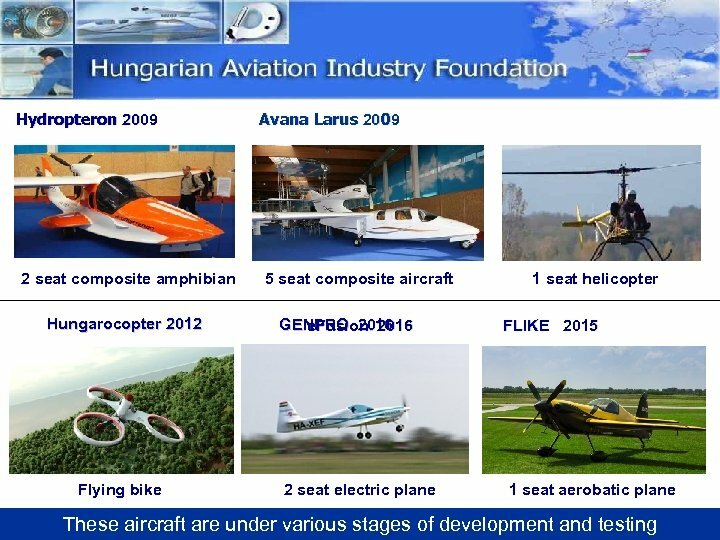 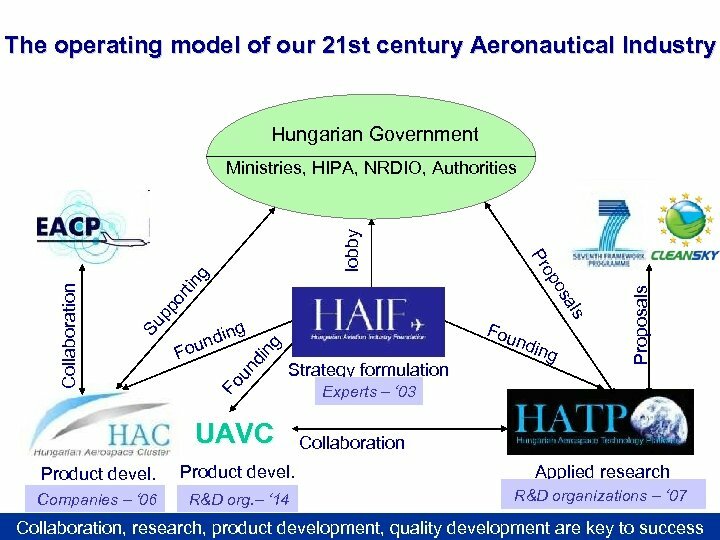 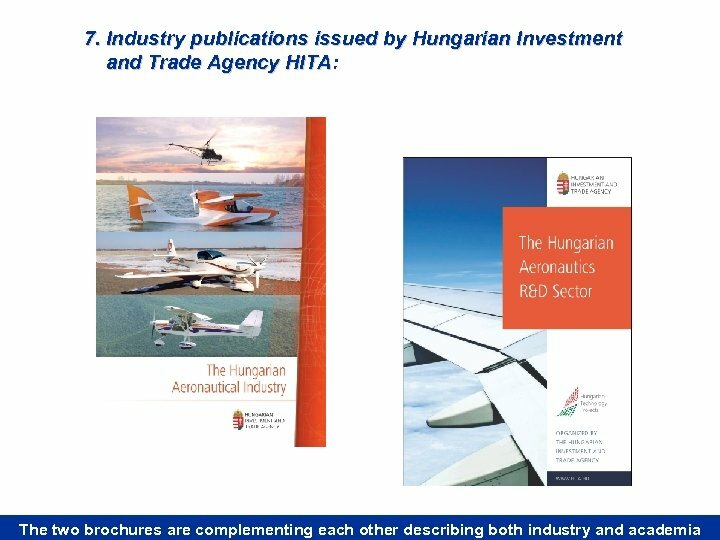 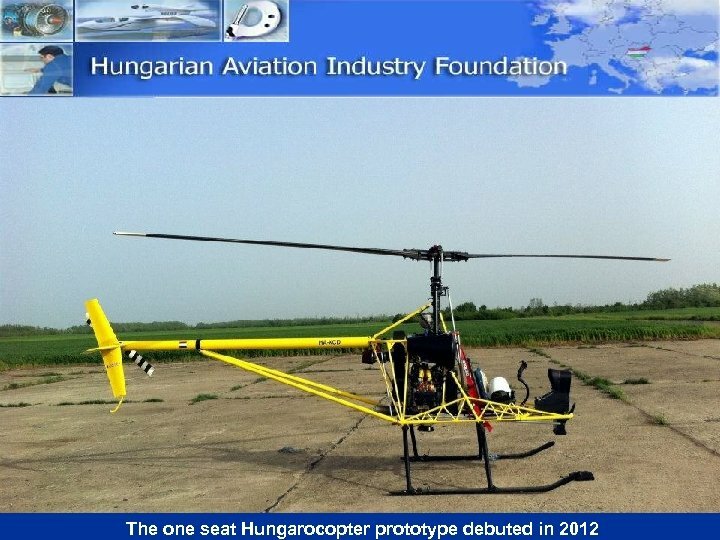 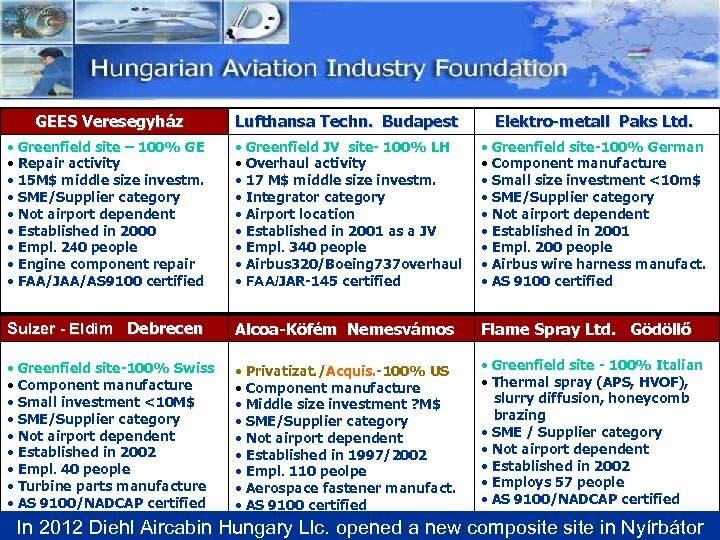 In March 2006 HAIF initiated and organized the establishment of the Hungarian Aerospace Cluster. 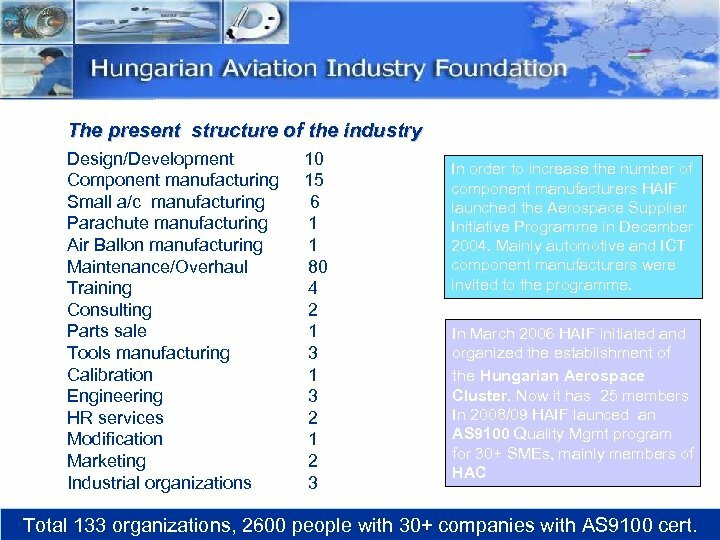 Now it has 25 members In 2008/09 HAIF launced an AS 9100 Quality Mgmt program for 30+ SMEs, mainly members of HAC Total 133 organizations, 2600 people with 30+ companies with AS 9100 cert. 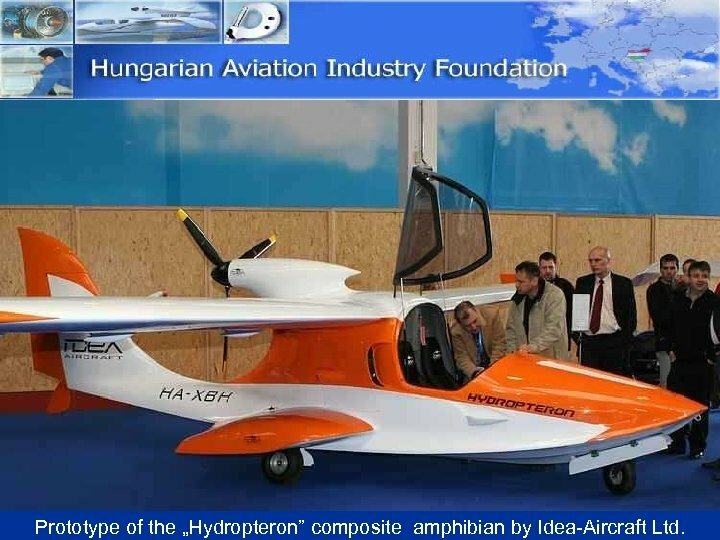 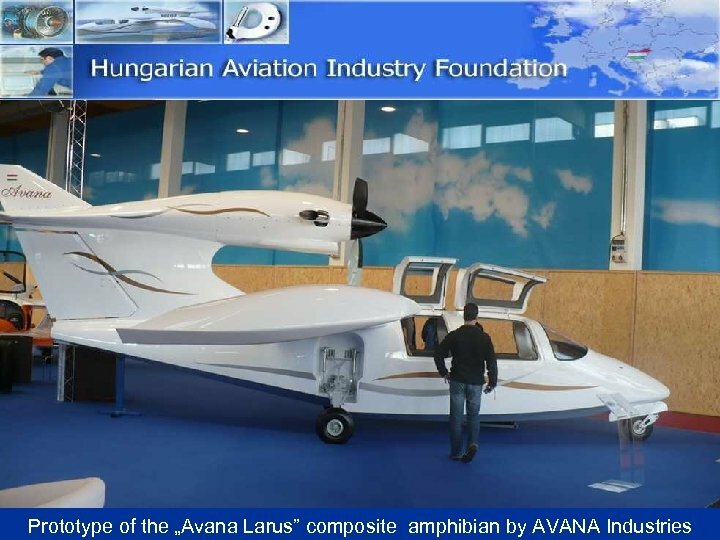 Prototype of the „Hydropteron” composite amphibian by Idea-Aircraft Ltd.